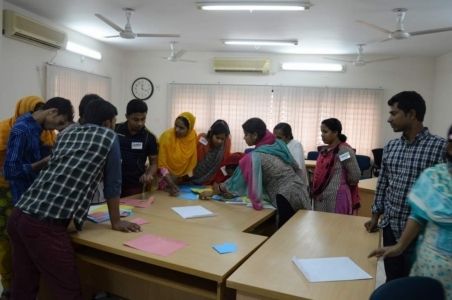 CED, BRAC University organized a 4-day residential training program titled â€œCommunication, Leadership and Decision Makingâ€ (2nd Batch) during 22-25 February, 2016 at NGO Forum for Public Health at Lalmatia, Dhaka with the participation of 25 field-level employees from AWAJ Foundation. This training program was organized under the capacity building project titled â€œEnhancing Organizational Capacity of AWAJ Foundation through Developing Effective Managerial Skillsâ€ funded by the C&A Foundation. 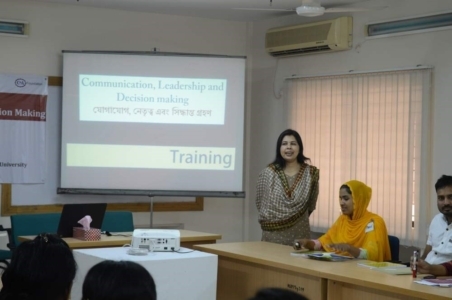 The facilitators of this training were Ms Afshana Choudhury (Program Manager, CED), Ms. Iffat Enam (Program Officer, CED), and Mr Imtiaj Uddin Ahmed (Program Officer, CED). 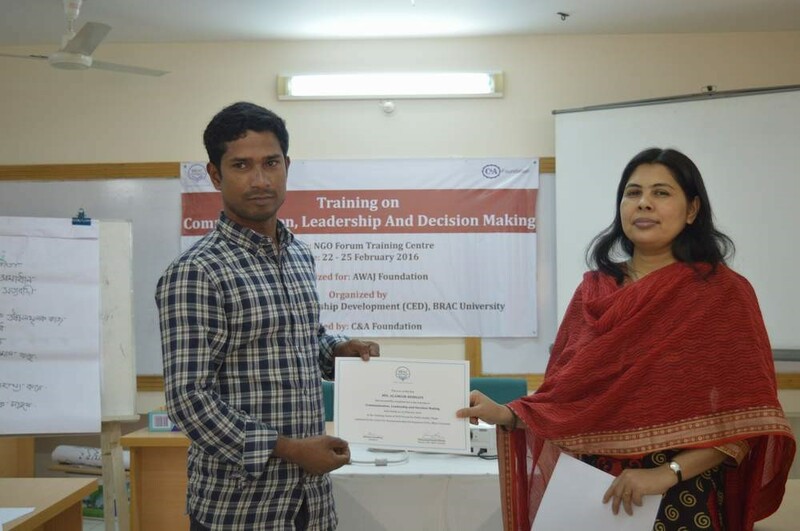 The training program was coordinated by Ms Afshana Choudhury (Program Manager, CED).